I thought I was going to Rockingham on Monday morning, but found it was sold out! I had a forlorn mooch around thinking I’d missed my second trackday of the year and had to wait again, and then saw my favourite track – Oulton Park – on the Club MSV website with spaces left! 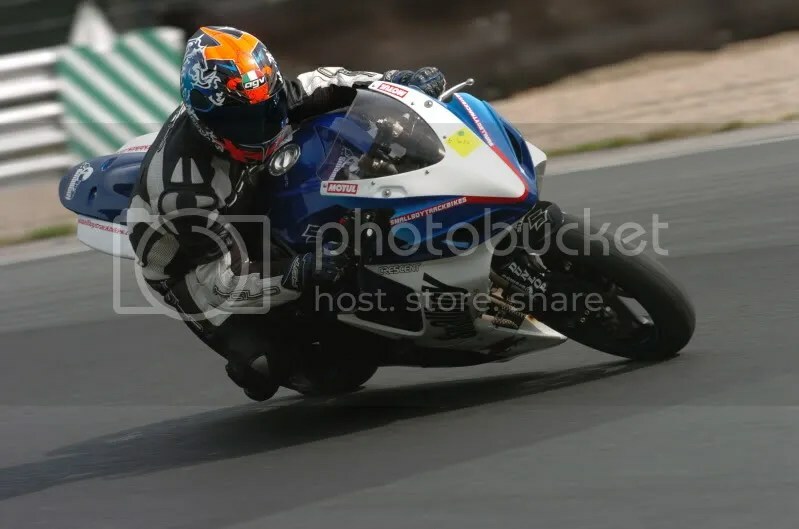 After a brief panic over which bike to hire as my usual Lady Snoots were at Rockingham, I called up Matt at Smallboy trackbikes and much to his surprise he was suddenly booked to get a Suzuki GSXR600 K7 there for me the next morning. After spending the night doing my ritual of cleaning and waxing my leathers and getting the cams charged and ready, then getting about 24 seconds of sleep (IT’S BETTER THAN CHRISTMAS!!! 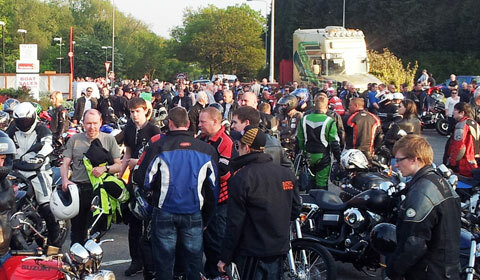 ), I shot up the M6 on my trusty ZX9R and arrived. For some reason there weren’t many people there. I think there were closer to 20 in each group than the usual of more than double that, but I figured this was a good thing for my second time in the Intermediate Group. Matt of Smallboy was there with his Dad, who wasted no time getting a coffee into my hand (excellent service all day of coffee’s and even cleaning my visor for me), and I was surprised to recognise Matt as the one who gave the safety briefing when I was last at Mallory Park. I’ve always had a thing against Suzuki’s, but thought I’d give it a go. As it turned out the bike was very easy to ride. I loved having a slipper clutch for the first time, and the Bridgestone tyres were sticky and never let me down. I started scraping my knee around Island bend in the very first session! Better still, only one bike came past me in the first few sessions – and that was a 1000cc so it doesn’t count! I seemed to be well on the pace in the group, and overall the group was very even. This meant with small group sizes we all got loads of track space to concentrate on our own riding. In the 6th session we saw the only red flag as someone managed to get it on the grass at the top of Clay Hill. I got it on camera but you can’t see much… He was braking down on the grass and scrubbed most of the speed off before hitting one of the strategically placed hay bales and somersaulting over! It was good meeting up with some of the TDR forum members as I was all on my lonesome again, and hopefully I’ve got some video footage of them that will be on YouTube soon! Photo’s were great and I had an awesome day! I was timed me with a 2:07 lap (under 2:20 would have done me quite happily!) and I reckon when I look back over the footage I can knock a couple of seconds off that, so I’m chuffed to bits! A great day out – why doesn’t EVERYONE do it?? ?